Maybe you've seen THIS POST where I made an earring holder. I also wrote a 'Jewel School' article in the Sept09 issue of Bead Trends entitled Earring Frame, re-creating it in a smaller version. 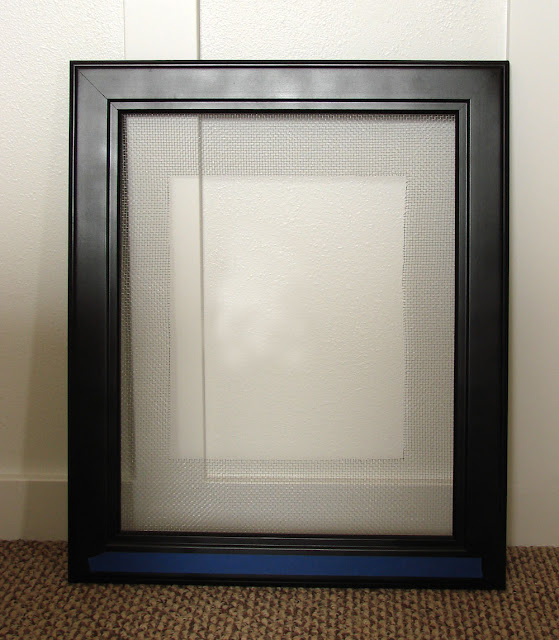 I have made many since the first post on my blog, and I no longer use the large frame; but two smaller ones. You can see those two a little bit at the end of my post 'An Unwanted Closet Becomes A Vanity'. K, that's by the by... what I'm getting to is I have recenly made some more earring holders, with a great idea for necklaces & bracelets. It started with an idea for a couple christmas presents for friends that don't wear earrings. 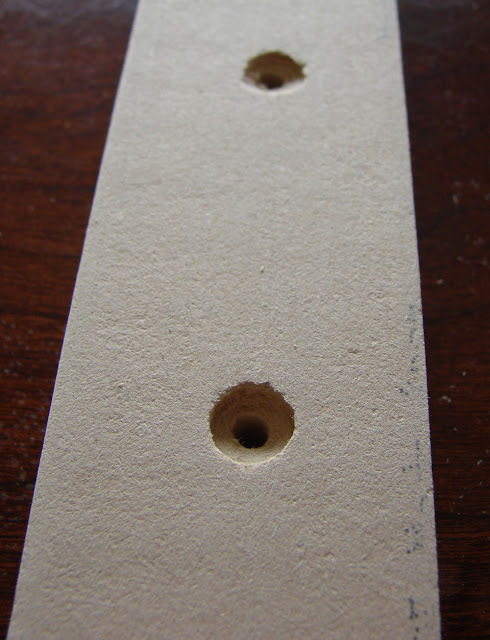 I cut a couple boards, painted them white, and drilled holes in them about 2" apart. Here's one before I drilled the holes, and one with holed drilled. You can also see I drilled two holes with a recess (3rd from either end) for the screws that would attach it to the wall, I bought white head screws to give with the gift, so they look lovely and clean when hung. 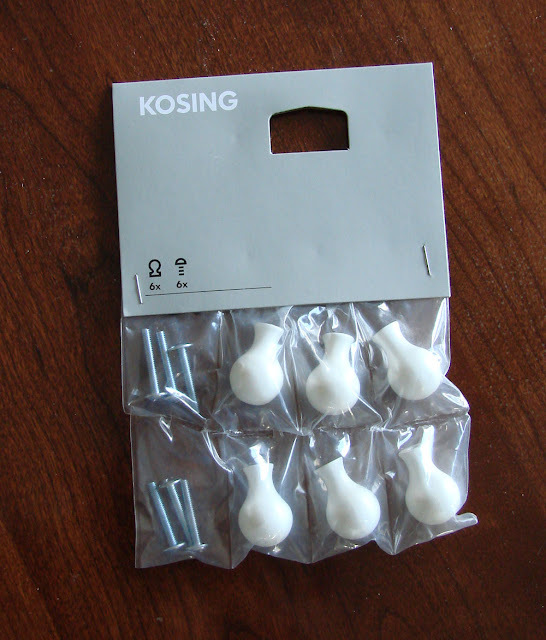 K, that out of the way, these are the knobs I used... and let me say they are only $1.99 a pack at IKEA! The trick is finding them though! And then getting out of the store. I'm pretty familiar with IKEA, and I finally know some short-cuts through departments, but it still takes 20 minutes to get in, get the kitchen section, find them, get to the checkout, and then to the car. If you have a local IKEA you know exactly what I mean... that place is massive. Now here is where I appologize. I apparently did not take a finished photo! I just gave them away. I have a friend with HUGE amounts of jewelry. 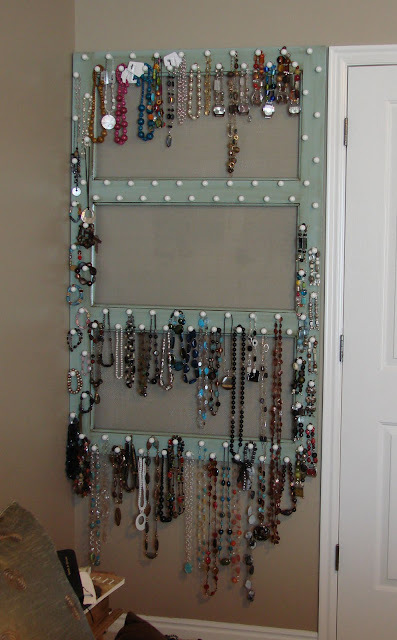 She wanted a place for all her necklaces, bracelets, Bumble(tm) watch bands, and earrings. 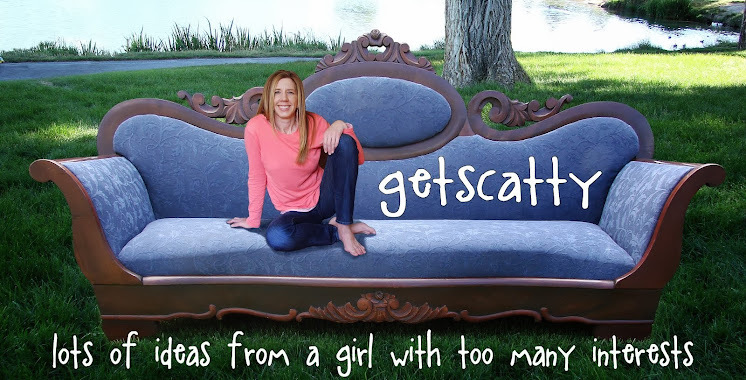 She had them all crammed into two very large jewelry boxes, but found it extremely frustrating when she wanted to find a pair of earrings, or matching pieces. So I had an idea! 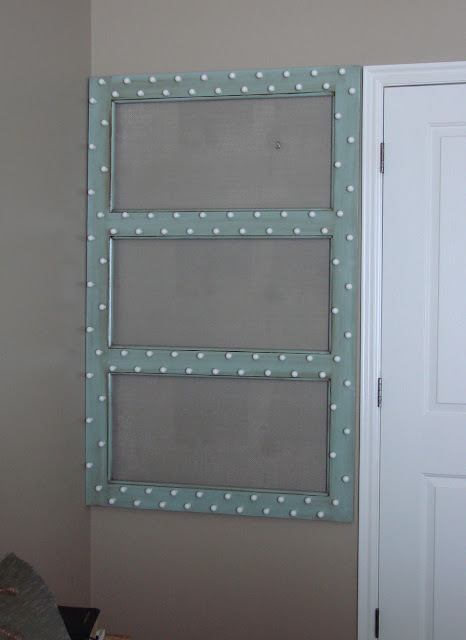 A couple years ago I bought a large frame at a yard sale with three openings. I've been saying I would find a clever use for it one day, and I did. My friend loved the look of the piece in this post, so I painted it just the same, and would apply the same effect with the stain once I finished drilling all of the holes. Holes drilled, stained, hardware cloth stapled to the back, and knobs attached, here's the finished piece hanging behind her bathroom door so that her jewelry isn't on display 24/7 taking away from her beautiful bedroom. My favorite part is they look like polka dots! Since this isn't enough knobs, we got her a pack of S hooks that she can hook into the screen and hang more things from. That was $8 from Home Depot for a pack of 100. Here's an image of her filling it up. 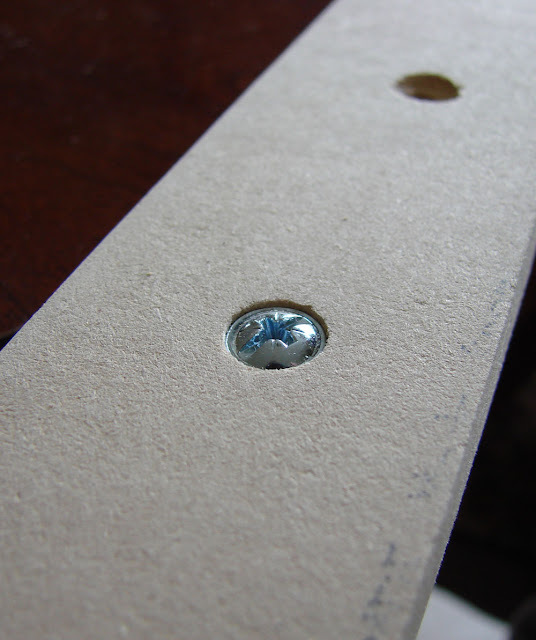 This is the same idea as the original earring frame with one twist. 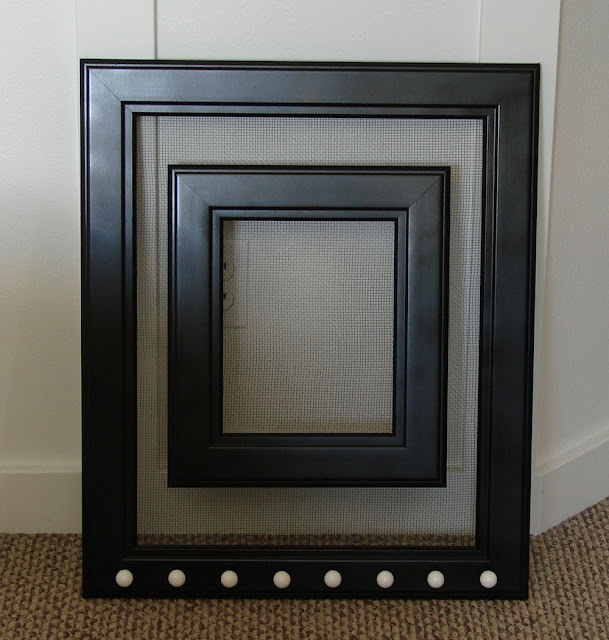 After cutting and determining the size of the wire to fit in the large frame, I laid it face down on top of a smaller frame, and found the lines by which I could cut out the middle of the hardware cloth. 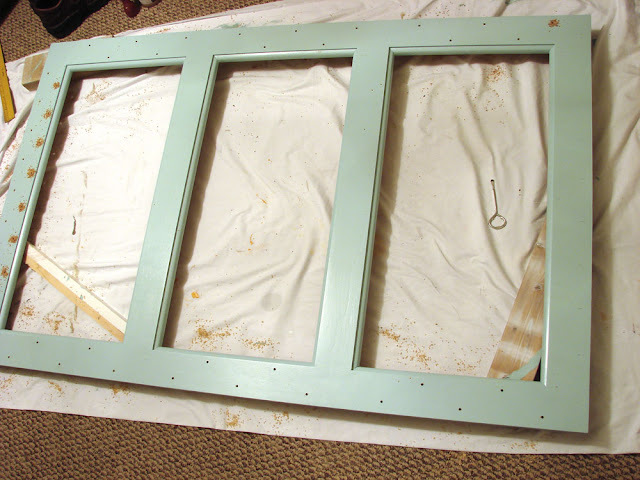 I did this and then attached the hardware cloth to the large frame. I have painters tape at the bottom of the frame to mark my holes for drilling. I haven't given it to her yet... which is why it's sitting on the floor in this photo. Hope I've given you some great ideas to store your jewelry beautifully.